Converts full size 1911 Govt 8rd. or 7rd flat steel floorplate magazine to fit an Officer's Model pistol. 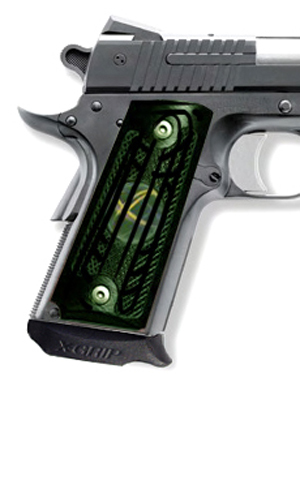 Extends the grips slightly and increases capacity on compact, Officer's Model type 1911's. Works only with the welded metal floorplate, military style magazines. No tools required. I really like this product. The service I received from Brad and his team at Top Gun was above and beyond. I will support this company anytime they are ore offering a product that I need or want. I would suggest to buyers that they warm the product some before installing, like in a glass or cup of hot tap water to ease installation.